April 23, 7:15pm. 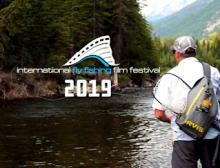 IF4™ consists of short and feature length films produced by professional filmmakers from all corners of the globe, showcasing the passion, lifestyle and culture of fly-fishing. The films at this popular event are capturing the attention of anglers around the world. Experience IF4™ 2019, one night only April 23 2019! Doors open at 6:30pm, film at 7:15pm. Tickets ($17) on sale now! Co-presented by Hamilton Area Fly Fishers and Tyers. Two advanced tyers from HAFFT will be giving a fly-tying demonstration in the lobby before the show! Read journalist (and KW Fly-fisher) Rob Reid's full review of IF4 2019.